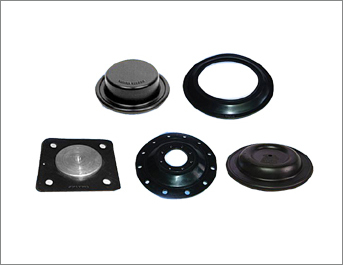 ➤ Diaphragms are sealing agents, used as moveable membranes to prevent two or more components from leakage and friction. The flexible nature of this seal allows pressure effects to cross the barrier but not the material being contained. 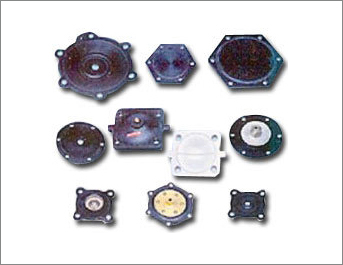 ➤ We can manufacture rubber diaphragms which are bonded with Brass, mild-steel or stainless-steel studs. 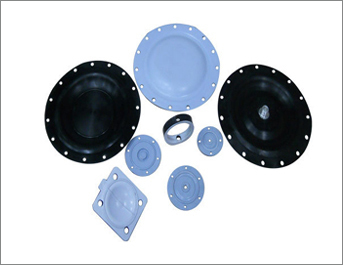 We also manufacture diaphragms that are Metal Inserted, Gasketed, Teflon laminated or that are reinforced with fabric, nylon, canvas, wire mesh, etc.